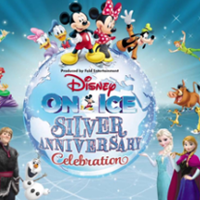 The final dates of the Silver Anniversary tour for Disney on Ice take place at the Nottingham Capital FM Arena. Head down to the Lace Market area from the 12th of May 2016 to see a world of Disney characters take to the ice. 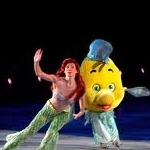 Disney on ice have been putting on breathtaking family entertainment for 25 years and are celebrating in epic style. Elsa and Olaf from the smash hit Frozen will be doing a few numbers, alongside old favourites like Woody and Buzz from Toy Story as well as Ariel and her underwater buddies from The Little Mermaid. Mickey and Minnie Mouse will be there too to oversee the proceedings and ensure a magical time is had by one and all. 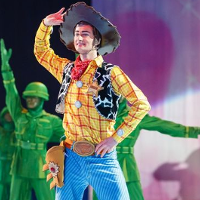 Disney on Ice brings the magic to life at the First Direct Arena Leeds. Celebrating 25 years of UK shows, The Silver Anniversary show from Disney on Ice will enrapture the whole family from the 4th May until the 8th of May 2016. With a cast of characters and routines from Disney favourites like Toy Story, Frozen, The Little Mermaid and many more tickets are now on sale for the shows, including matinee performances during weekends. Situated to the North of the city centre, the First Direct Arena is one of the newest, purpose built entertainment venues in the country and has excellent transport links and access. 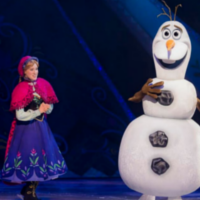 Disney on Ice makes a welcome return to the SSE Hydro Glasgow in 2016. With a brand new ice skating spectacular, Disney on Ice are back at the Hydro from the 28th April through to the 1st May. With a show celebrating 25 years of magical memories planned, fans will enjoy routines and songs from hit films like Toy Story, The Little Mermaid and Frozen. 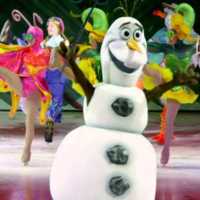 Disney on Ice is the perfect family entertainment and will cheer Disney fans of all ages. Tickets for the Silver Anniversary tour are on sale now. Silver Anniversary celebrates 25 years of Disney on Ice at the Motorpoint Arena Cardiff. Feld entertainment have been putting on the amazing Disney on Ice ice skating spectaculars for 25 years and in April 2016 they will be going around the best arenas in the land. Tickets for performances at the Cardiff Motorpoint Arena are now on sale, with evening and weekend matinee shows available. 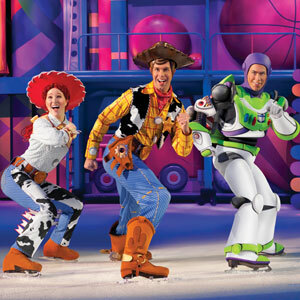 Disney on Ice come to the Cardiff Motorpoint Arena from the 20th April through to the 24th April, book now. Disney on Ice Silver Anniversary Tour at Wembley Arena in April 2016. 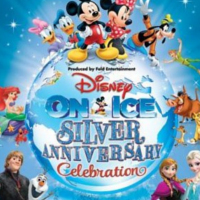 Just in time for the holiday season, Disney on Ice present their early 2016 performance, entitled Silver Anniversary. Celebrating 25 years of entertainment in the UK, the Disney on Ice crew will be presenting routines and characters from the past productions as well as new favourites from Frozen, Toy Story and more. Tickets are now on sale for the shows from the 13th April through to the 17th April 2016. Disney on Ice celebrate 25 Years of fun at the Genting Arena Birmingham. 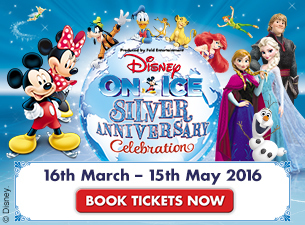 Now booking for the Silver Anniversary tour as Disney on Ice returns to Birmingham for shows from the 6th April 2016. Join your favourite Disney characters on the ice from Frozen, The Little Mermaid and Toy Story along with your host Mickey Mouse. With memorable music and songs from the hit films as well as stunning costumes and dancing these shows are the perfect family entertainment package. 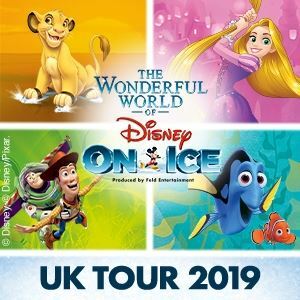 There will be evening and matinee performances from Disney on Ice at the Birmingham Genting Arena so there’s plenty of opportunities to get tickets. Mickey and the gang are back on the ice at the Dublin Citywest Hotel for April 2016. Disney on Ice are in celebratory mood and the fun will be non stop in the Silver Anniversary tour when it arrives in Dublin. Turning the Citywest Hotel in the city into a magical ice arena all your Disney favourites will be there. With songs and routines from the hit films like The Little Mermaid, Frozen, Toy Story and more the family will be in for a real treat. 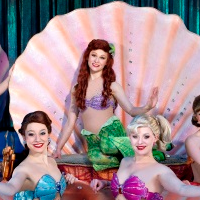 With spectacular choreography, amazing costumes and dazzling effects the world of Disney really comes to life. The shows take place from 1st April to the 3rd April 2016. Disney on Ice celebrate 25 years of shows in Belfast with a Silver Anniversary Tour in early 2016. All your favourite Disney characters from Frozen, Toy Story, The Little Mermaid and many more will be live on the ice through March. 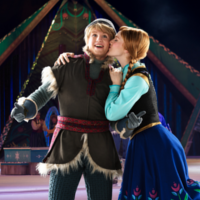 The Disney on Ice Silver Anniversary Tour comes to the SSE Arena Belfast for three days of fun, song and magical ice dancing. Liverpool Echo Arena welcomes Disney on Ice for another party, celebrating their Silver Anniversary! The Silver Anniversary tour rolls into the Echo Arena from 16th March making it the perfect holiday entertainment for the whole family. 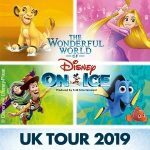 Celebrating 25 years as the premier ice dancing events in the UK, Disney on Ice will present a galaxy of your favourite characters, songs and dances live on the ice. With matinee and evening shows in the schedule there will be plenty of opportunity to catch some old friends in the party of the year. Disney on Ice return with a celebration to capture the hearts of everyone. Celebrating their Silver Anniversary with shows across the UK through March to May 2016, Disney on Ice Tickets are now on sale. Presenting a whole host of family favourites from Frozen, Mickey and Minnie Mouse, Peter Pan, The Little Mermaid and many more it will be the perfect half term holiday treat. The show starts at the LIverpool Echo Arena on Wednesday 16 March 2016 and ends 15th May in Nottingham at the Capital FM Arena.